The EUR/USD currency pair has reached all targets of “head & shoulders” reversal pattern. At the moment we should expect the price to move upwards to the area of 1.4450, where the rising channel has been broken. 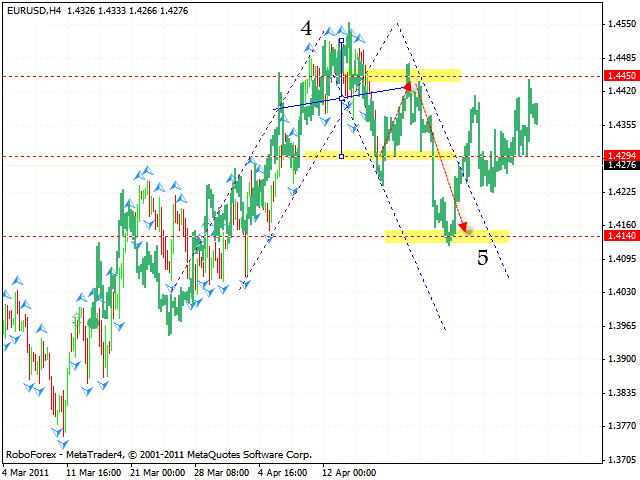 One can try to sell the pair from this area and expect the price to start moving downwards with the target of 1.4140. 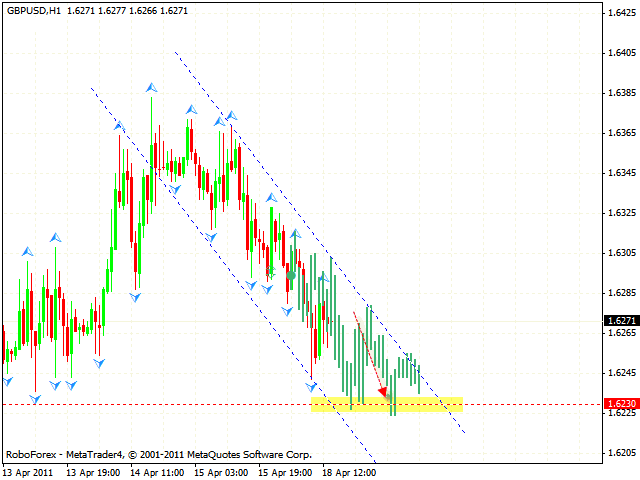 The GBP/USD currency pair is moving inside the descending channel, the target of the fall is the area of 1.6230. One can consider selling the pair near the channel’s upper border. If the price breaks and leaves the channel, this case scenario will be cancelled. 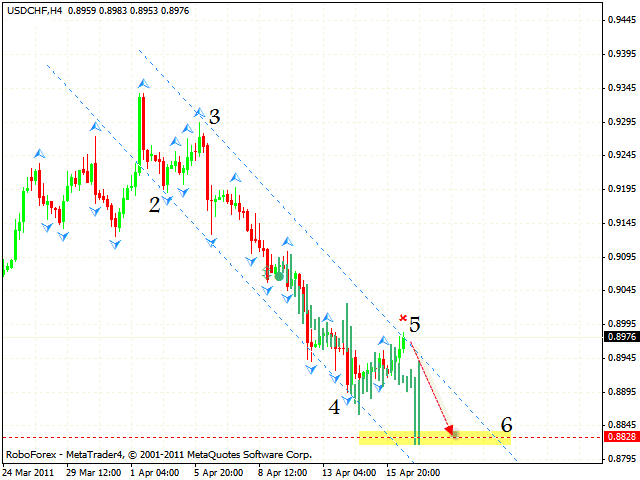 Franc has reached the area of the 5th point of reference, where one can try to sell it with the tight stop. The target of the fall is the area of 0.8828. If the price breaks the channel’s upper border, this case scenario will be cancelled. The stop must be above 0.8990. 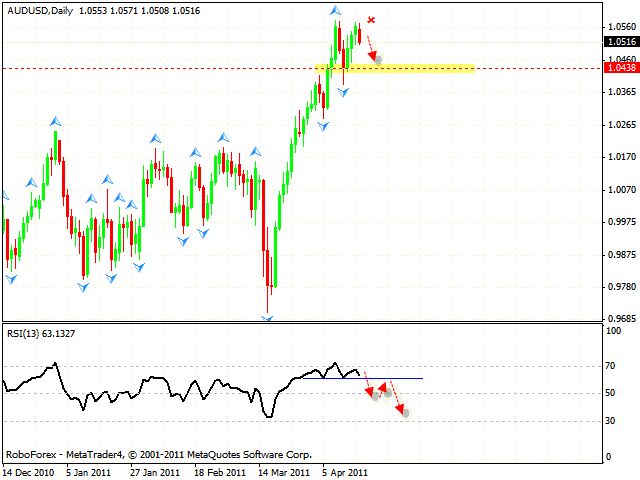 At the daily chart of the AUD/USD currency pair we have “failure swing” reversal pattern forming at the RSI. The target of the fall is the area of 1.0438. In case the price breaks the support level at the RSI, one can try to sell Australian Dollar with the tight stop. If the indicator grows higher than 70, this case scenario will be cancelled.